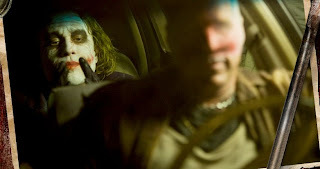 Recently, I watched ‘The Dark Knight’. Joker was hilarious yet frightening at same time. 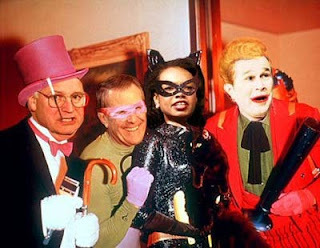 I actually preferred joker more than Batman. Have a look to his dialogs. Isn’t he real genius? 1) Gotham National Bank Manager: The criminals in this town used to believe in things, Honor, Respect. Look at you! What do you believe in? What do you believe in! 2) The Joker: You know, you remind of my father… I hated my father! 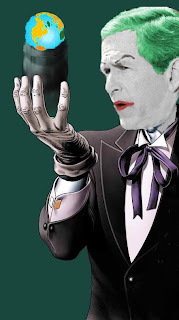 3) The Joker: Well, hello, beautiful. You must be Harvey’s squeeze, hmm? And you are beautiful. You look nervous. Is it the scars? You want to know how I got ‘em? Come here. Hey! Look at me. So I had a wife, beautiful, like you, who tells me I worry too much. Who tells me I ought to smile more. Who gambles and gets in deep with the sharks… look at me! One day, they carve her face. And we have no money for surgeries. She can’t take it. I just want to see her smile again, hmm? I just want her to know that I don’t care about the scars. So… I stick a razor in my mouth and do this…to myself. And you know what? She can’t stand the sight of me! She leaves. Now I see the funny side. Now I’m always smiling! A little fight in you. I like that. 4) The Joker: Do you wanna know why I use a knife? Guns are too quick. You can’t savor all the… little… emotions. In… you see, in their last moments, people show you who they really are. So in a way, I know your friends better than you ever did. Would you like to know which of them were cowards? 5) The Joker: Wanna know how I got these scars? My father was….a drinker. And a fiend. And one night he goes off crazier than usual. Mommy gets the kitchen knife to defend herself. He doesn’t like that. Not. One. Bit. So, me watching, he takes the knife to her, laughing while he does it. Turns to me and he says “Why so serious?” Comes at me with the knife,”Why so serious?” He sticks the blade in my mouth. “Let’s put a smile on that face!” And….. Why so serious? Here are some hilarious pictures I found while stumbling. and when he was in the nurses outfit. which part did you liked most? Actor Heath Ledger who performed as Joker was found dead of a possible drug overdose in a Lower Manhattan apartment, the New York Police Department said. The Academy Award-nominated actor was 28. Ledger was found naked and unresponsive, facedown on the floor at the foot of his bed by a housekeeper trying to wake him for an appointment with a masseuse, said police spokesman Paul Browne. Salute to such great actor! Its A great thing to ! I tried everything. Chrome just doesn't want to play sounds.